The page title is also what the searcher sees in a search result -so the page title – meta title tag is very important in describing what the page is about and if the title meets the searchers criteria, then it is more likely to be clicked on and your page will open. The second thing to consider is whether you want to add your company name in the title tag? The answer is that it depends on your branding strategy. If your company name is a known brand, or if you want to promote your firm name as a brand or if your company name consists of keyword(s) that you want to target such as ABC Family Solicitors targeting the keyword “Family Solicitors”, then by all means add your company name in the title tag. If not, then use the limited but valuable space to add your targeted keywords. If you do decide to add your company name, make sure that it is at the end of the title. This is because you want search engines and your visitors to first read the targeted keyword(s) for that page and then the company name. It is important to remember that as the title tag is the synopsis of the content of the web page, we need to make sure that the title tag is relevant. For example, the title tag for an about us page is “About Website Design Company – ECommerce Partners”. Hence, the title tag does its job of informing what the page is about. Now, you might have noticed that instead of “About Us – ECommerce Partners”, we added “About Website Design Company – ECommerce Partners”. The reason is because “Website Design Company” is one of the key phrases we want to target and so, we replaced “About Us” with “About Website Design Company”. This brings out an important point. 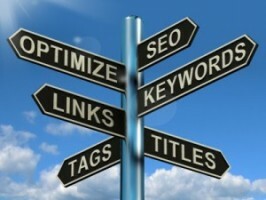 We need to do a keyword analysis before we write an effective and powerful title tag.